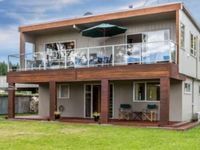 Taupo lakeside- self contained four bedroom house. Property 2: Taupo lakeside- self contained four bedroom house. We enjoyed our stay. The house is well appointed with everything you need and is large and spacious. I definitely recommend this home for families.